Find The Bed Rug For your Vehicle! The BedRug Mat is the ultimate combination of durable truck bed protection and luxury look and feel. 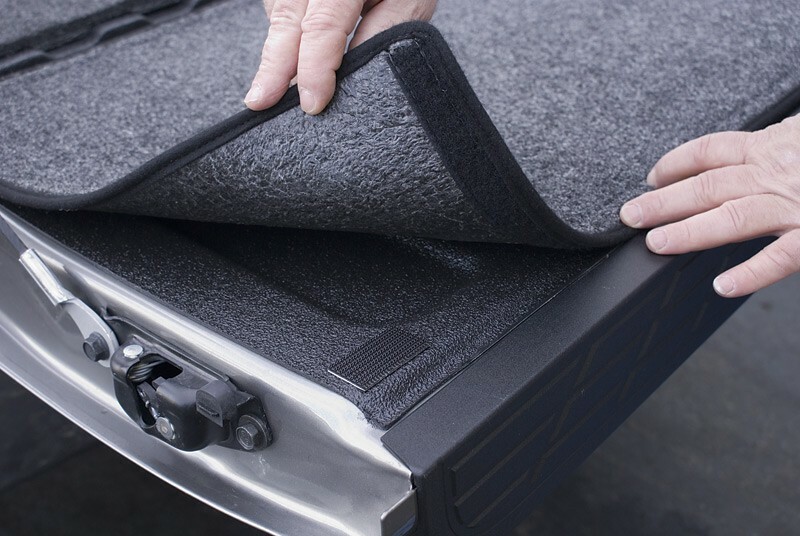 The BedRug Mat provides a soft, pliable surface to pamper your cargo, yet the BedRug Mat also stands up to the harshest abuse to keep your truck bed floor safe. Select the BedRug Mat to protect your bed floor, and add the BedRug Mat Tailgate Cover to protect the inside of your tailgate as well. The BedRug Mat is a soft truck bed mat that looks and feels like carpet. It keeps your gear from shifting on the road far better than hard drop-in or spray-on liners. The BedRug Mat is so soft you can use it as a seat for tailgating or even sleep on it! 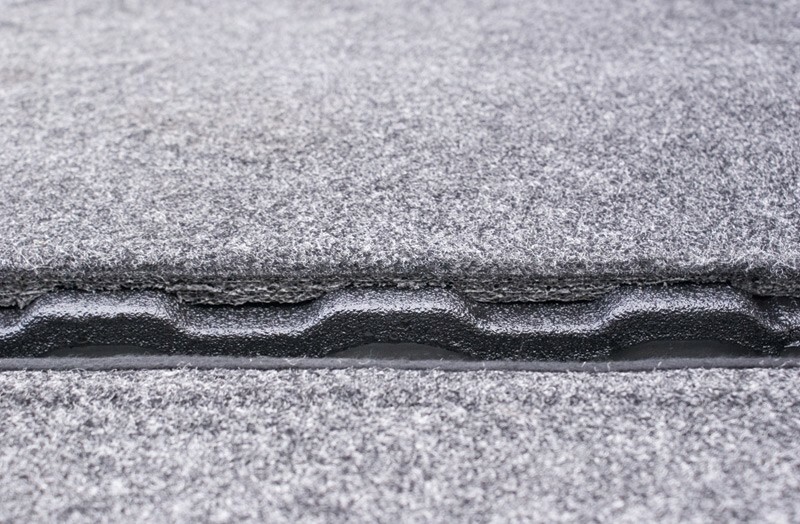 Despite BedRug Mat softness and luxurious looks, the BedRug Mat is one of the toughest bed floor liners on the market. It is molded from closed-cell polypropylene plastic, which is soft yet super durable. This material will not scratch the bed, nor will the BedRug Mat absorb water, gasoline, or other chemicals. Cleaning the BedRug Mat is as simple as hosing or power-washing it off. It is also impact-resistant, so the BedRug Mat will protect your truck bed from dents and scratches from even the most harsh, heavy loads. 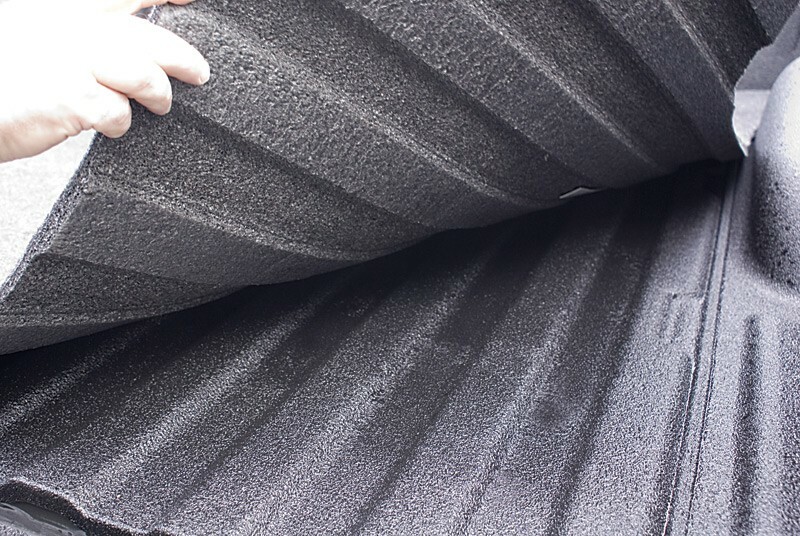 The BedRug Mat is designed to sit on top of a plastic drop-in liner or spray-on liner. The BedRug Mat is custom-molded to fit the curves and ridges of your exact make, model, and year truck for a perfect fit. Installation is extremely quick and removing the BedRug Mat takes only seconds. 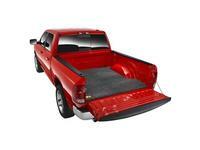 It is perfect for preserving your truck bed if you are planning on trading in your truck. Colorado and Canyon Crew Cab with a 5' bed 2004 -2008. Bed Rug for Spray Ons. Colorado Reg. & Ext. Cab and Canyon Reg. & Ext. Cab with a 6' foot bed 2004-2008. Bed Rug for Spray Ons. Silverado and Sierra Crew Cab Classic 5' foot 8"inch bed 2004-2007. Bed Rug for Spray Ons. Silverado and Sierra 8' foot bed 2007-2008 without Bed Management. Bed Rug for Spray Ons. 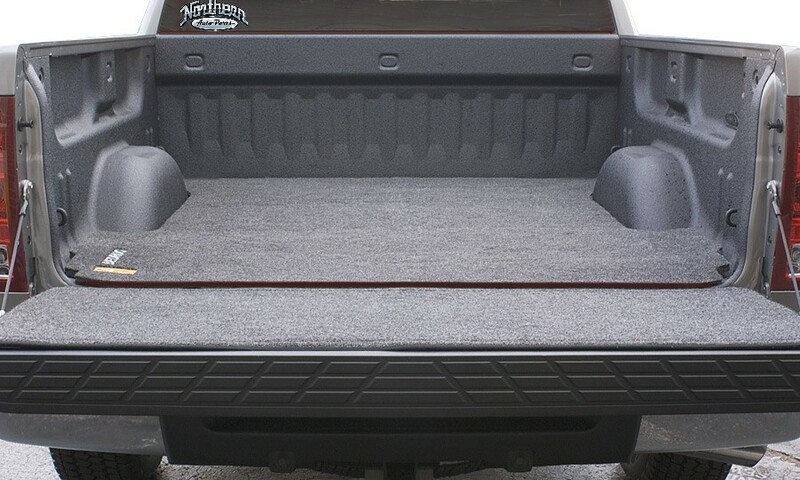 Silverado and Sierra Long Bed Classic 8' foot bed 1999-2007. Bed Rug for Spray Ons. Silverado and Sierra Short Bed Classic 6' foot 6"inch bed 1999-2007. Bed Rug for Spray Ons.